One of my great delights is skills development in groups. Group work is invaluable when it comes to learning soft skills. We learn from each other and from sharing, just as much as we could possible learn from theory. And yet, you know, even with soft skills there is a lot of really helpful theory and proven good practice. And it is great to share these ideas. I love creating experiential training sessions, that help people get really curious about themselves and brave about tackling difficult situations differently. 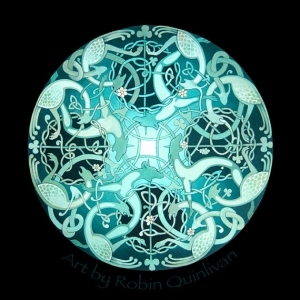 Artwork by Robin Quinlivan. Click here to view her shop.